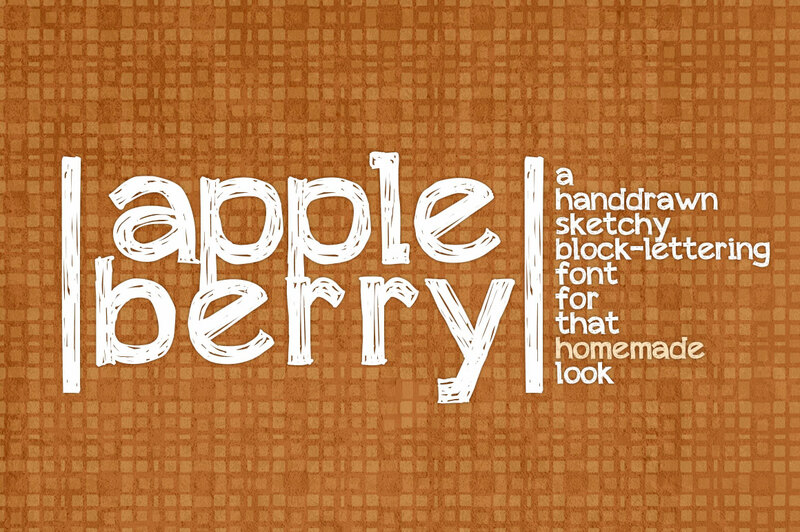 Trademark notice: appleberry is a trademark of Brittney Murphy. Description: Copyright (c) 2011 by Brittney Murphy. All rights reserved. Fun, hand-drawn block lettering, now extended with accented characters! Free for personal and non-profit use.